Foundation with a silky texture for a sheer,velvety smooth finish. Formulated withPower Stay Complex for amazingly longwearwithout touch-ups. Beats shine without creating a masky effect. Suitable for all skin types. SPF 10. Hypoallergenic. Explore the entire range of Foundation available on Nykaa. 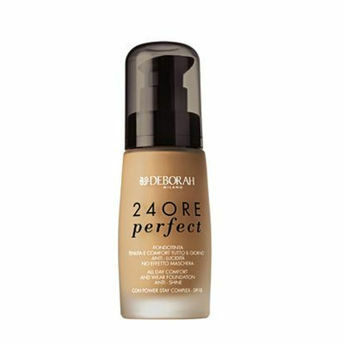 Shop more Deborah products here.You can browse through the complete world of Deborah Foundation .Alternatively, you can also find many more products from the Deborah 24Ore Perfect Foundation range.